I would like to start by THANKING each and EVERYONE who has voted for my session for SQLBits XIV (really an Honour!!). This will be my second international conference I will be attending and my first one where I will be speaking. 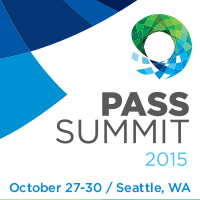 In November, 2014 I have attended my first international conference at PASS Summit 2014. After returning from PASS I submitted a session for SQLBits just before the submissions closed. I missed submitting a session for PASS Summit 2014 and didn’t wanted to miss it at SQLBits too. 2014 has been a splendid year for me and the saga continues. Revamping SQLServerGeeks.com to the new platform and giving it a new look. Well I had very less to do here but enjoyed very part of it. Come back with the longest one day series on any SQL Server topic available so far. One DMV a Day – the 80 day sprint. Attend my first SQL Server international conference at PASS Summit 2014. It was a dream come true meeting all the SQL Superstars. Submitting a session for an international conference, SQLBits for the first time and getting selected on the first attempt – Indescribable. And at last the BIG ANNOUNCEMENT – LAUNCH OF THE FIRST SQLServerGeeks ANNUAL SUMMIT 2015 – Asia’s first and only SQL Server conference from 27 – 29, Aug 2015. This is a wonderful time for me. Attending, speaking and organizing at the greatest SQL Server conferences across the globe, I can’t ask for more. One thing I can request to the SQL Community, you have supported us to get so far. With your support we will go beyond expectations! So, the first thing I request you to do is: Register Now and block your seat! The conference will see 5 tracks, 40+ speakers, 60+ sessions and loads fun! Database Administration, Database Development, Business Intelligence, Cloud, Big Data – whatever your forte be, this conference will have it. THIS IS YOUR SQL CONFERENCE! So, I urge you to help us spread the word. If your company is sponsoring, do not wait for it. Register now and get it reimbursed later as we have the best for less now. We want EACH ONE OF YOU to witness this mega event and we want you to be part of it!